You want to bet on your favourite sports but you don’t know which sportsbooks are worth your time. FYI – sportsbook is a fancy way to say “Canadian sports betting site.” A number of highly reputable brands have been offering services to sports betting fans in Canada for decades. In fact, the Kahnawake Mohawk Territory in Quebec is home to some of the best betting sites in Canada. 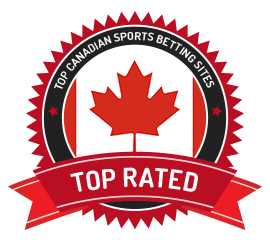 Here, we provide an overview of what to look for when selecting Canadian betting sites, including how to identify established and trusted brands, and how to ensure your deposits are secure once you have chosen where you want to play. Below are our top sportsbooks for Canadian players in April 2019. This isn’t your grandpa’s sportsbook, this is Bodog, one of the best in the business. Catered to football, hockey, basketball and baseball bettors, Bodog is where you’ll find great lines on your favorite sports. There’s also wagering options on tennis, soccer, UFC, politics and e-sports. Plus, you’ll find live betting and incomparable bonuses. This online sportsbook is key for bettors looking for lines on football, hockey, baseball and basketball. You’ll also find lines for boxing, soccer and special events like elections, great bonuses and live betting options. Sport Interaction is a top-tier betting site that looks crisp on both desktop and mobile platforms. When it comes to top-notch sportsbooks, LeoVegas is the one to beat. With lines and odds on all your favorite sports like baseball, football, hockey, basketball, tennis and more, this online betting site has you covered. They also offer an ample first deposit bonus and a VIP loyalty program with free bets to keep customers coming back for more betting fun. With multiple bonuses to choose from, Intertops is your one-stop-shop for betting on everything from soccer, football, baseball, tennis, basketball, esports and more. This online sportsbook gives you over 4,000 daily wagers and live scoring so you can track your bets in real-time. Plus, their mobile betting site is just as easy to use as their desktop version. Betting on sports is easy when you use an online sportsbook like this one. SportsBetting.ag is part of the BetOnline.ag family and it shows. With multiple betting options, live wagering and numerous sports available to bet on, this is a sportsbook not to be missed. Known for their killer Welcome Bonus and refer-a-friend program, BetOnline.ag is focused on the bettor. Choose from player props to $125 worth of risk-free bets when you use this sportsbook for your wagering needs. They also boast early lines and quick payouts, making them one of the most respected in the industry. A new brand to enter the market, 22bet bring you great odds and lines of the top European, British and North American sports like soccer/football, hockey, tennis, basketball, baseball and more. With live betting available, this online sportsbook has something for bettors around the world. Using their popular casino as a jumping off point, Spin Palace created their very own sportsbook to give bettors another chance to win money. With bonuses, live odds and lines on everything from NFL, NBA, MLB NHL, CFL and Formula 1, Spin Sports has something for bettors from around the world. Live betting is all the rage at Betway with their easy-to-use In-Play button. Bet on sporting events and games as they’re in progress from anywhere with Betway’s mobile platform. Besides their live betting and on-the-go wagering options, this online sportsbook has sport-specific bonuses and is available in a myriad of languages. Keeping things simple, you won’t find an easier to use sportsbook than 5Dimes. This online betting site offers reduced lines and is known to be the leader in prop bet offerings. They also provide 50% match bonuses for first-time depositors and you can bet on everything from MLB to NHL to NBA to NFL, college sports and even chess. This sportsbook is known for their reduced juice which can be as low as 5%. With high betting limits and multiple wagering options, Pinnacle is a favorite amongst bettors from around the world. Their desktop and mobile sites are easy to use and feature betting options on football, baseball, basketball, soccer, boxing and more. For bettors in the UK, 10Bet is the place to make your wagers. This online sportsbook provides ample soccer betting options, and lines on other sports too like basketball, tennis, baseball, and more. They also have a mobile app, live betting options, exclusive bonuses and rewards, and a cash out feature that lets you recoup some of your bankroll before the game is over. If you’re looking for dynamic lines and multiple wagering options, Sportbet is the sportsbooks for you. You can wager on football, basketball, baseball hockey, soccer, tennis and golf. There are also lines for NASCAR and in-game betting is offered to give you a chance to wager on sporting events as they unfold in real-time. Canadian betting sites cover the four major North American sports – baseball, basketball, football and, of course, hockey, because if they didn’t, the Canadian betting population would revolt. It would be a peaceful revolt with many apologies, but it would be a revolt nonetheless if the most popular sport for Canadians was not included in online gambling sites. Moreover, an online betting site that serves Canucks also features odds and lines on soccer, tennis, golf, MMA, UFC, rugby, volleyball, cricket, motorsports (NASCAR, Formula 1), boxing and more. College sports like NCAA football and NCAA basketball also have a huge presence at Canadian online sports betting websites. Betting lines and odds for all sports are comprehensive. You can bet everything from point spreads to moneylines to totals to parlays. You’ll also find NHL pucklines, player and team props that allow Canadian bettors to place wagers on all aspects of their favourite sports, while futures betting lets you try to predict how teams will finish the season, perform in the playoffs, and who will win major sports events like the Super Bowl. A number of Canadian betting sites also provide wagering on horse racing, with coverage ranging from daily activities at Canadian racetracks along with major international events like the Kentucky Derby. Bet offers – Are there a variety of wagering options? Bonus programs – What incentives does the betting site give their players, like a free bet, deposit bonus, or loyalty program? User interface – How does the site look on a desktop computer? Is it easy to use from a mobile device? Let’s be real here, most of us do our online betting from our phones or tablets. Deposit and withdrawal options – Do they accept multiple deposit methods? Does it take a long time for the site to pay out when you win? Trustworthiness – Does the online gambling site have an impeccable reputation? Customer service – Are they available around the clock to deal with issues? Is there a live chat, email or telephone option to contact their customer service department? Currencies and languages – Can you access the site in English*? Can you fund your account in Canadian dollars? *Not all Canadian betting sites have a French language option. However, some offer Spanish, Portuguese, Italian, German and a slew of other languages that Canadians may speak besides English. Canadian sports bettors want to have fun making wagers and placing bets, but they also need to know that the site they’re wagering at is reliable. When you bet on sports online, you want to make sure that your deposits and personal financial information are safe and secure. There are a few key things that a new player can check to verify that they are dealing with a trusted betting site. The first thing to check for is whether the betting site is licensed and regulated by a known jurisdiction. In addition to the Kahnawake Mohawk Territory, which licenses and strictly regulates online betting sites and online casinos opening under its jurisdiction, a number of betting sites that are servicing Canadians are regulated by overseas government bodies. In addition to the United Kingdom’s Gambling Commission, many reputable betting sites are based in the Caribbean and Central America, and regulated by national governments, including the governments of Curacao and Costa Rica. It is also wise to stick with betting sites that have been in business for at least 2-5 years. Operating an online sportsbook isn’t an easy task and only the best-run and highly ethical brands are able to stay in business over the long haul. You should also check out the site’s customer service options. Being able to communicate with the sportsbook at all times should you encounter a problem is very important. What happens if your account is frozen (like your car in January because your building doesn’t have underground parking) or you’re having trouble making a withdrawal? You want to be able to reach a representative easily to take care of things ASAP. Only the best Canadian betting sites make that possible. As in most industries, betting sites providing poor products in regards to customer service, or engaging in shady activities don’t tend to stick around for very long. Brands committed to taking care of the users, while offering a fun and competitive betting experience, have proven to be the most successful. Once you’ve chosen a reputable Canadian sportsbook to play at, you’ll need to make a deposit. The easiest option for most Canadian bettors is to use a credit or debit card. Most betting sites servicing Canadian players accept Visa, MasterCard and Bitcoin. Some brands also accept checks (cheques) as a deposit option if you like to keep it old school. To make a deposit at your Canadian sportsbook of choice, visit their “Cashier” section, select the payment method you wish to use and follow the short instructions. After you’ve won big and it’s time to make a withdrawal, there are a few options available to you. You can opt to have a paper check mailed to you or you can have your winnings deposited directly back onto your credit card. If you use cryptocurrency for your deposits and withdrawals, you’re at an advantage because the payouts are fast (often within six hours) and easy. You can also choose to keep your winnings in your betting account to play with in the future. Your odds – see what we did there? – of having a great betting experience are higher when you select a reputable Canadian sportsbook.